When Clara beholds Christian, everything changes. They fall in love at instant moment and their relationship is very exquisite right from the beginning. Everything between them is perfect but then Christian starts to be afraid that he might loose what they have together because perfect things don't last. Nevertheless, his fear outgrow to an obsession which eventually leads to the very point he was so afraid of. "Love must be more about power than we think, if even in its most intimate moments of expression we think about not being the one who risks the most." "It's strange, isn't it, how that idea of belonging to someone can sound so great? It can be comforting, the way it makes things decided. We like the thought of being held, until it's too tight. We like that certainty, until it means there is no way out. And we like being his, until we realize we're not ours anymore." I was reading this book every morning whilst traveling by subway to the center of the city as well as on the way back to home. And I was actually really looking forward to those moments spent between the pages. The story was very intense and even though it discussed a really dark side of love, it was beautiful and inspiring, too. The main character Clara had told the story of hers retrospectively and the bits and pieces of the past has been mingled with the present. 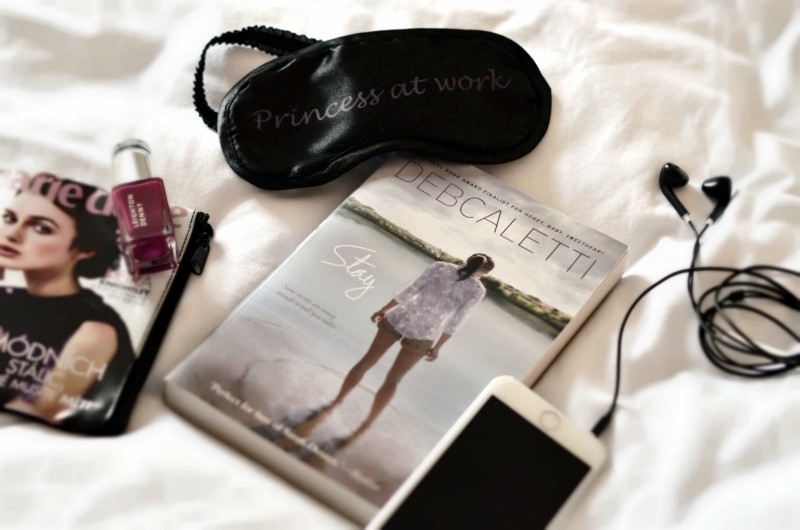 Deb Caletti has written the story in such a stirring way that I almost forgot to get off the train most of time. And it was even funny sometimes so I didn't know exactly if I should to smile or be horrified of the things that had happend in the plot line. The author of this book has used lots of footnotes which was also very unique part of the story and made the reading experience quite spectacular, too. "Fate is a shape-shifter. It is the kindest and most generous entity imaginable, laying out more goodness than a person deserves, and then it shrinks and curls and forms into something grotesque. You think something is one thing, but then it's another."